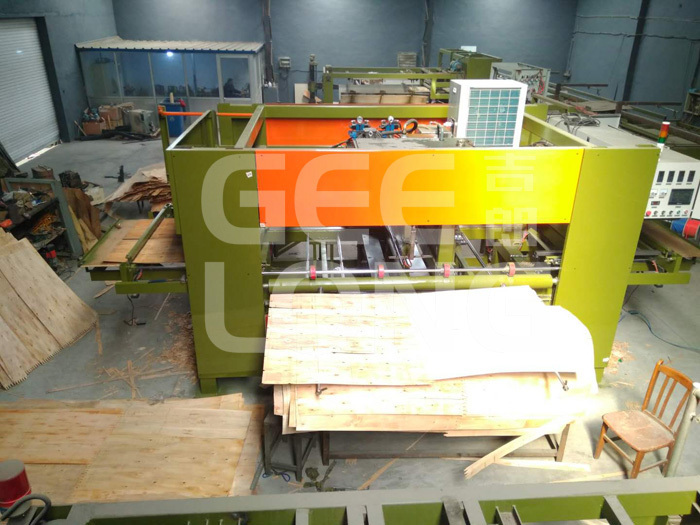 and this machine can finish the jointing work automatically, can save more time and improve the efficiency. 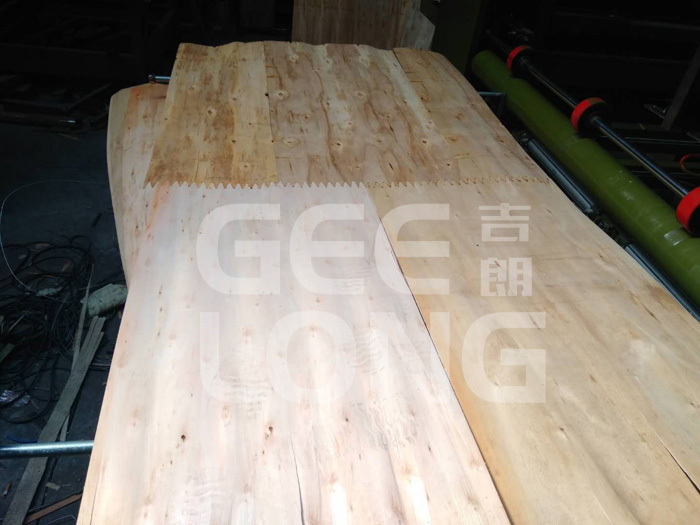 After veneer rotary cutting and drying, the medium veneer with different length, uneven thickness, regular or irregular thickness of 1.2-3.6mm is first composed into 4*4 feet by core veneer composer, then entered from two sides of the machine through the full-automatic operation of the machine. 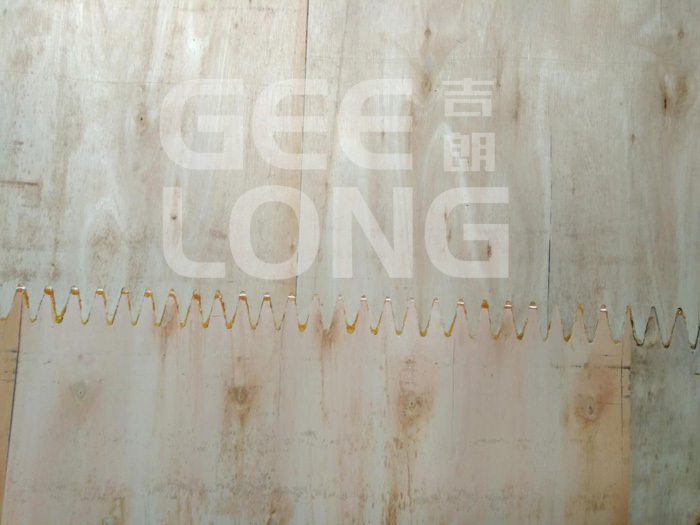 Teeth making、Gluing、Teeth alignment、Pressing、Cooling、Stripping and stacking are completed automatically. 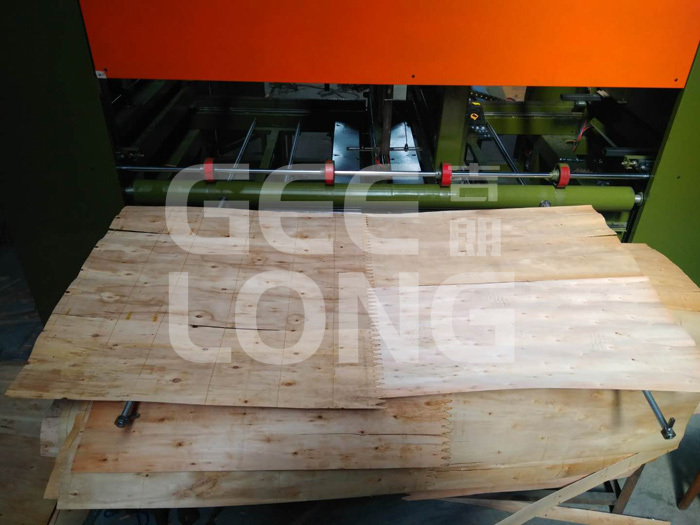 The whole process, the veneer is composed into the whole long and medium veneer as the user’s required size(8*4ft). 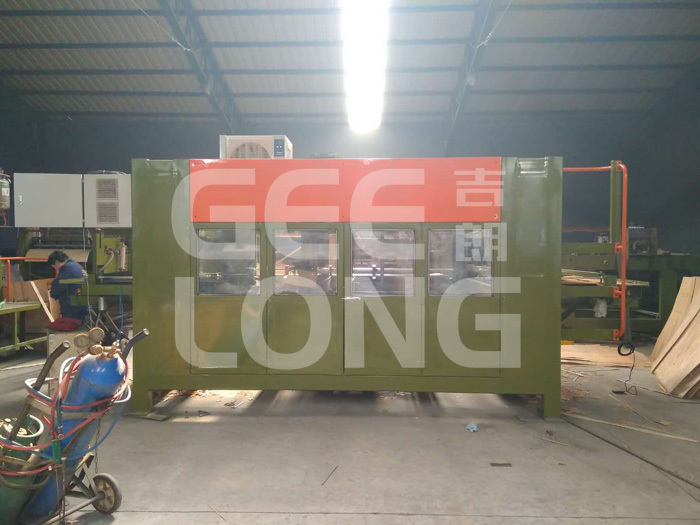 DOWNLOAD THE TECHNICAL PARAMETERS OF THIS MACHINE.